We still think that there will be some more features, albeit small, coming to Windows Phone 7.8, which is not expected until Q1 2013. An old Nokia PowerPoint slide deck has now been leaked that confirms some earlier information about what will be in 7.8--basically just the Start screen. 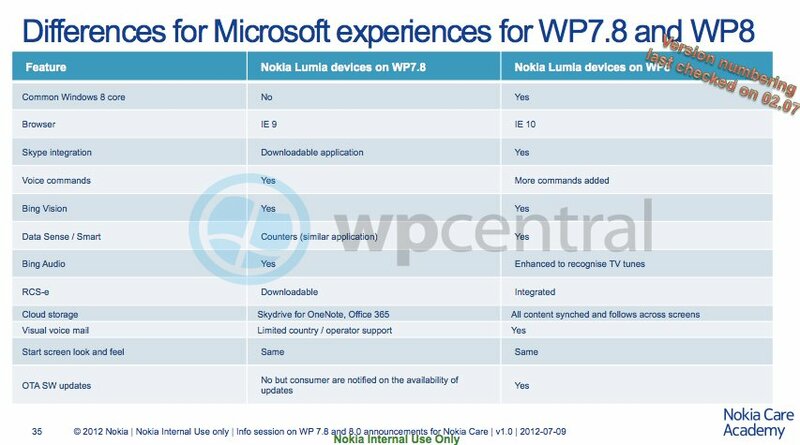 Titled "Info session on WP 7.8 and 8.0 announcements" the Nokia document is 40 pages and contains mostly tips on promoting the current Lumia line of phones and explaining some differences between 7.8 and 8.0. 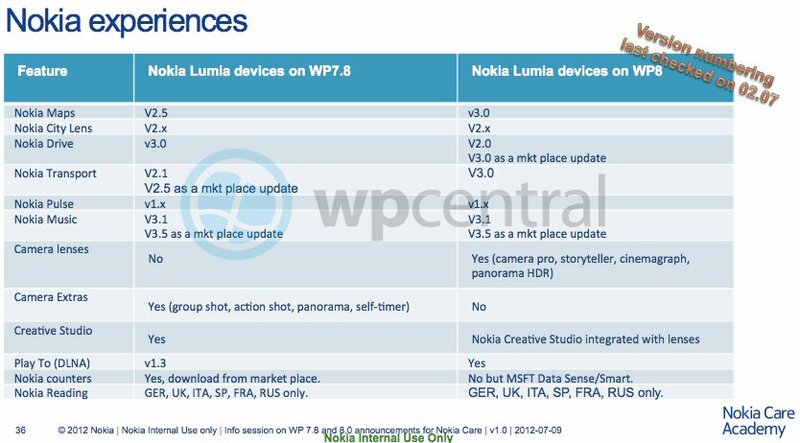 One thing is clear though, many aspects of Windows Phone 8 were only known to the higher ups in Nokia's food chain. 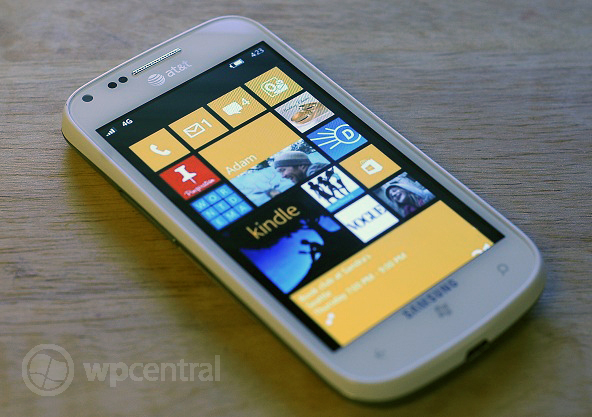 In fact, if it weren't for the leaked SDK, many of Windows Phone 8's features would have been kept secret. The news is interesting but since it is so old, not exactly reliable. For all we know some of these items have been removed with others added--so keep that in mind when looking them over (the deck appears to be from July). In fact, the slides here match up nicely with some leaked info that came out after the Summit, including RSC-e interoperability. Other interesting tidbits that come from the deck is what Nokia reps are not to say about Windows Phone 8 and Windows Phone 7.8: don't mention dates, remind people that this was a preview and don't proactively compare Windows Phone 7.8 to Windows Phone 8. In other words, it's the usual PR tactics that has kept 7.8 in the dark for some time. And since this pre-dated the official Windows Phone 8 reveal last month, it makes sense for the time. Overall an interesting leak but one that is certainly dated and not that revealing. via: WPXAP forum (since deleted); Thanks, talan1314, for the tip and file!